Don Elmore is the Owner/CEO of SERVPRO of Tuscaloosa. He has over 15 years of experience and several certifications from the Institute of Inspection Cleaning and Restoration Certification (IICRC): Water Removal Technician, Applied Structural Drying Technician. He is also licensed by the state & federal government as a Lead Paint Remediation Contractor. Don enjoys fishing and golf when he is not working. Some of Don's favorite foods are seafood and a great steak! 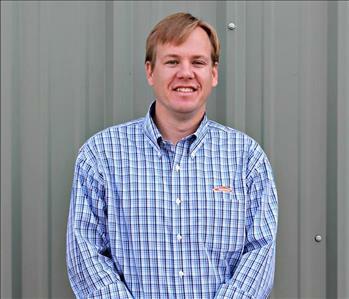 Jacob Cory is General Manager and part owner at SERVPRO of Tuscaloosa. He has over 11 years of experience and several certifications from the Institute of Inspection Cleaning and Restoration Certification (IICRC): Water Damage Restoration Technician, Applied Structural Drying Technician, Carpet Repair & Reinstallation Technician, Commercial Drying Specialist, Applied Microbial Remediation Technician, and Fire and Smoke Restoration Technician. 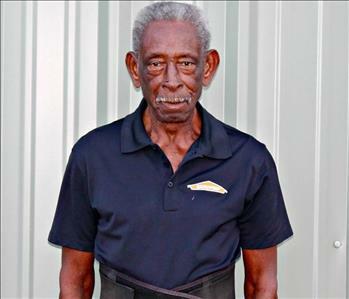 He is also a licensed HVAC technician with the State of Alabama and is OSHA certified. Jacob loves spending time with his wife and kids. He also enjoys playing guitar and fishing to relax. Jacob loves both sushi and steak, but cannot decide which is his favorite food! Albert Thompson is our Marketing Manager and Director of Business Development. 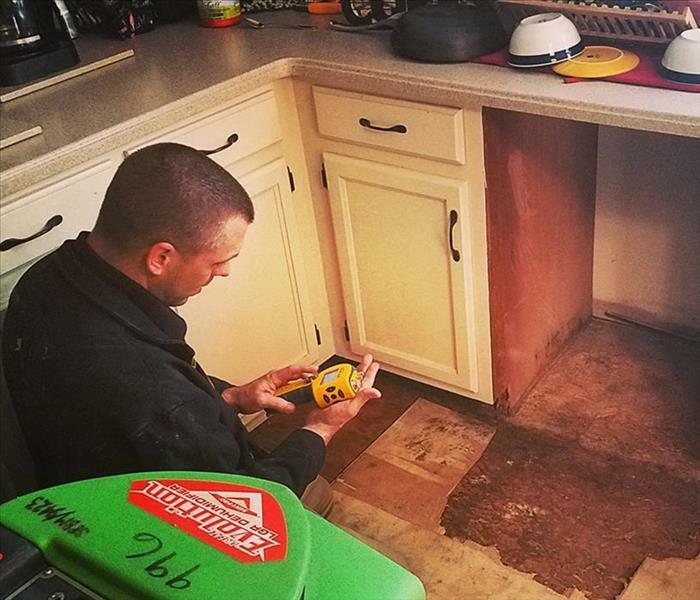 He has been with our SERVPRO team for two years and has the following certifications from the Institute of Inspection Cleaning and Restoration Certification (IICRC): Water Restoration Technician. Albert is a family man. He enjoys sports but loves taking his family to Alabama Football games. He loves to golf, when he gets the opportunity. Albert enjoys cooking, specifically grilling because his favorite foods are meats. Amy Phillips is the Accounts Receivable and Administrative at SERVPRO® of Tuscaloosa. She has been with SERVPRO of Tuscaloosa for 14 years and has the following certification from SERVPRO: ECTP CTC, ECTP Water and ECTP Fire. In her spare time, Amy loves to volunteer with local charities, travelling and enjoying a good book. Some of Amy's favorite foods is anything Mexican! Sonye is one of our Job File Coordinators/ Administrative Assistants. She is new to the SERVPRO of Tuscaloosa team. In her down time, Sonye enjoys traveling, reading, shopping. Kevin Driggers is Operations Manager at SERVPRO of Tuscaloosa North and is a Key Account Representative. He has over 16 years of experience and has the following certification from the Institute of Inspection Cleaning and Restoration Certification (IICRC): Water Restoration Technician. Danyelle is our new Production Administrative Assistant and Dispatcher. Danyelle is always eager to help. She enjoys decorating, horseback riding, traveling and cars! 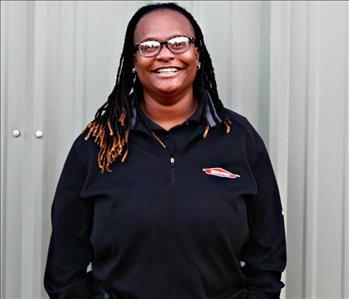 Tasheka Spencer is the Warehouse Manager at SERVPRO of Tuscaloosa. Tasheka has been with SERVPRO for 6 years and has the following certifications from SERVPRO: ECTP CTC, ECTP Water and ECTP Fire. In her spare time, Tasheka enjoys working with a Tuscaloosa local high school band when she is not singing or playing drums herself! 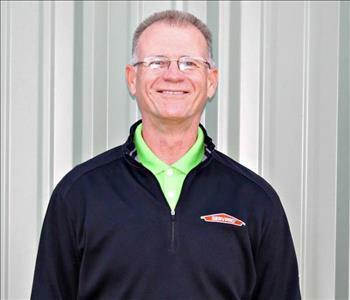 David Beck is over our Construction Division here at SERVPRO. 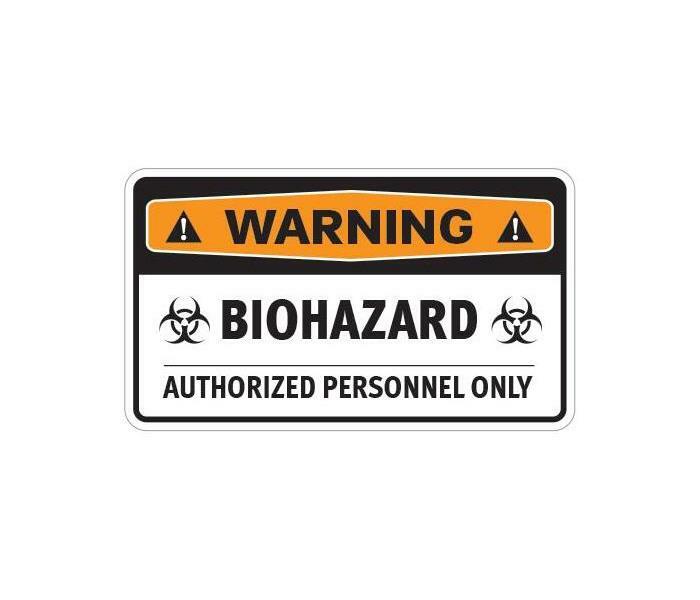 He has been with the SERVPRO family for a year but has 20 years experience in Environmental Remediation. He has ECTP training and IIRC in Water Restoration Technician. David was a Project Manager in Power Generation, Oil & Gas, Water & Waste Water treatment, as well as, FEMA projects. In his down time, David enjoys living life especially the beach life. David also enjoys hunting and fishing when he is not smoking some of his favorite meats or throwing something on the grill. A.C. Oats is a Crew Chief at SERVPRO of Tuscaloosa. He has over 14 years of experience and has the following certifications from SERVPRO: ECTP CTC, ECTP Water and ECTP Fire. A.C. served in the military for 6 years. In his spare time he likes to play basket ball and relax while fishing. A.C. loves some good southern food such as greens, beef, chicken, beans and fish! Tonya Colin is a Crew Chief at SERVPRO of Tuscaloosa. She has been a part of the SERVPRO family for a year now. 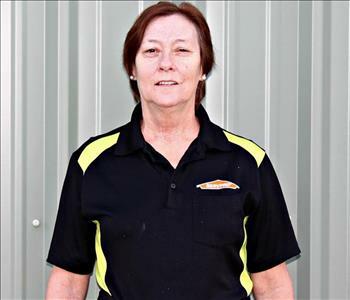 Deborah McDonald is a Crew Leader for SERVPRO of Tuscaloosa and has been with us for almost two years. 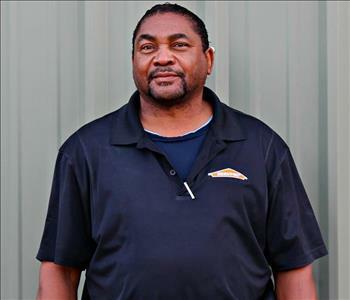 Roger Wallace is the Lead Carpet Technician and a staple of the SERVPRO of Tuscaloosa team. 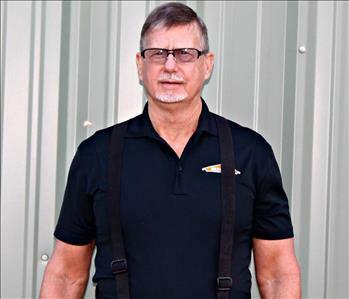 He has over 26 years of experience and has the following certifications from SERVPRO: ECTP CTC, ECTP Water, ECTP Fire and ECTP Carpet & Upholstery. Mr. Roger doesn't have a specific favorite food. He enjoys it anything! Greg Wells is a Production Technician at SERVPRO of Tuscaloosa. 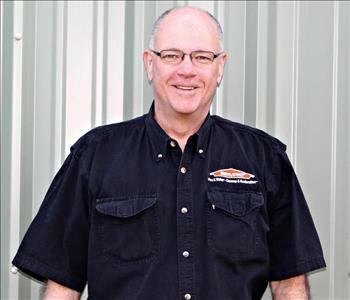 He has over 3 years of experience and has the following certifications from SERVPRO: ECTP, CTC. Greg served over 4 years in the military. Brandy is new to the SERVPRO team as a Receptionist and Dispatcher. She served two years with a previous Cleaning and Restoration company before joining us. She has 15+ years experience in post construction cleaning. 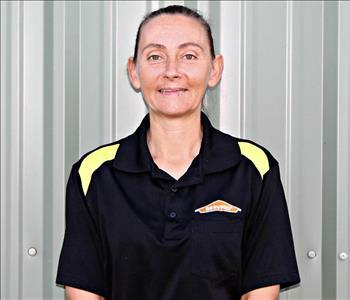 In her spare time, Brandy enjoys walking, spending time with her children and cleaning!